"AMC rolls out another winner with Hell on Wheels"
"On a fast track to becoming one of the best shows on TV"
"Unforgiven meets Glory in this grimy post-Civil War Western series"
Credited for helping to modernize the Western genre, Hell on Wheels follows former Confederate soldier Cullen Bohannon (Anson Mount), whose quest for vengeance has led him to the Union Pacific's westward construction of the first transcontinental railroad. 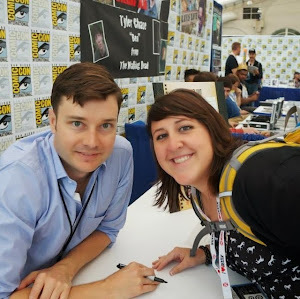 Reigning as one of AMC's highest rated shows, this award-winning series is episodic TV at its finest. 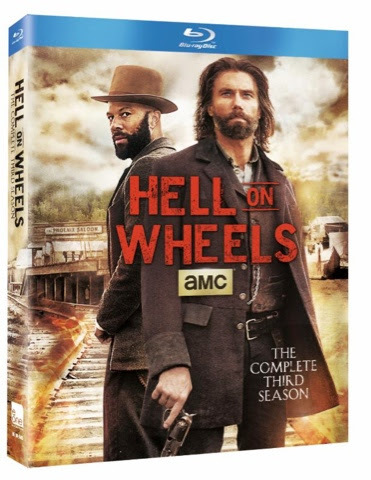 Before Season 4 premieres on August 2nd, home viewers can catch up on all the frontier action and drama with HELL ON WHEELS: THE COMPLETE THIRD SEASON, arriving on Blu-ray and DVD this July, only from Entertainment One. Hell on Wheels tells the epic story of post-Civil War America, focusing on a soldier who sets out to exact revenge on the Union soldiers who killed his wife. Cullen's journey takes him west to Hell on Wheels, a dangerous, raucous, lawless melting pot town that travels with and services the construction of the railroad. In Season 3, following the Indian attack that destroyed the railroad settlement, Cullen spends a long winter reshaping his lust for revenge into a burning ambition: to take control of the Union Pacific and drive it across the country. The lavishly-produced series documents the railroad's engineering and construction, as well as institutionalized corruption, the immigrant experience and the plight of emancipated African-Americans during Reconstruction. Chronicling this turning point in our nation's history, the fan-favorite series shows how uncivilized the business of civilization can be. Hell on Wheels is produced by leading independent studio, Entertainment One Television and Nomadic Pictures.